Not having a car has led me to greatly rely on others. Right after my car died, I assumed I would be taking public transportation and walking everywhere I went – but things have turned out very differently. My friends and loved ones have been giving me rides and loaning me their cars. And no, not because I have asked. They have offered these things. And they’ve done even more than offer – they’ve insisted! Even when I’ve protested, said it’s way too generous of them and I couldn’t put them out like that, they have stood their ground and forced their generosity on me. This experience has surprised me to say the least. While I have always thought the best of people, and believe people to be naturally giving and generous, this has far exceeded my expectations. I am incredibly grateful. Which makes me think… if the tables were turned, would I be so generous? I’m not sure how I would have felt before. But I can tell you for sure that I will in the future. I’ll remember the place I was at and remember how I felt toward those who insisted that I accept their generosity. I’ll know that my friend isn’t expecting me to be generous, but because it will help her so much, I’ll do it. The unexpected generosity I’ve been experiencing is going to go far. It’s going to go farther than just me. I will keep it going and it’s sure to spread like wildfire. Because once you have a taste of unexpected generosity, you can never get enough. OK, it’s been more like 14 hours. But I know where this is going. Rosetta has challenged us to take one day, write down every complaint that comes across our mind, and turn it into a gratitude statement. This was definitely an enlightening exercise. 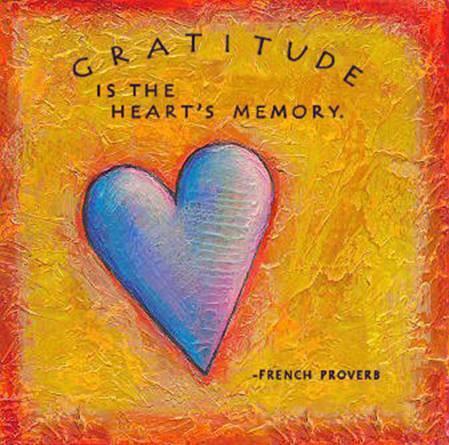 As I mentioned in my gratitude post, I do try to focus on being grateful for the things I have every day. But doing the activity really showed me the complaint feelings I have surrounding the silliest things… and as Rosetta expresses, these feelings really do effect every other aspect of ourselves and our mood in general. 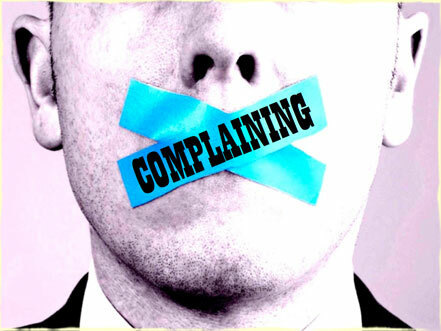 I also noticed that my complaints were frequent in the beginning of the day but as I paid more attention to them, they got fewer and farther between. They have actually tapered off completely in the past few hours. That’s also because I’ve had more control over what I’ve been doing tonight… but I also believe it’s because my complaints have turned more intentional in my mind, which has switched their frequency. Things that felt worthy to complain about before just don’t anymore. Well, I’m not shy! Here we go with my list, my complaints and my gratitude statements. 8:30 am – I didn’t get good sleep. I’m grateful that I will soon know if I have sleep apnea! 8:30 am – I have to wake up early. I’m grateful that I have the access to the sleep apnea test; they need the machine back at a certain time because there are others like me who want to know. 8:45 am – There is ice on my windows. I’m grateful I have a car to transport me to where I want to go, when I want to go. 8:50 am – Someone cut me off. I’m grateful that my deadline was flexible enough that such a small impact wouldn’t be a problem. 9:30 am – There’s a line at Starbucks. I’m grateful that I can afford occasional small luxuries. 9:45 am – I have to make breakfast for my boyfriend. I’m grateful I am off work this week and have time to do things for him, especially because he does so much for me! 10:30 am – I have to rush while getting ready. I’m grateful that I get to visit with my mom and aunt, who is only in the area twice a year. 12:00 pm – I don’t feel well. I’m grateful that I’m not doing the same boring thing today and putting myself out of my comfort zone, which probably is contributing to feeling different. 1:15 pm – There’s nowhere to sit at the restaurant I wanted to take my mom and aunt to. I’m grateful we can spend more time together, walk around the neighborhood more and come back to the restaurant. 1:30 pm – There’s only a small bench in the corner to sit at. I’m grateful we have somewhere to sit at all and that my mom and aunt can try the restaurant. 3:30 pm – The laundry room is full. I’m grateful that I have easy access to laundry facilities that work so well. 4:15 pm – Someone left the cap off the laundry detergent and it spilled all over. I’m grateful it spilled on clothes I could put in the load I was about to wash and that I have detergent to use. 4:30 pm – A prescription I submitted to be refilled won’t be ready until Tuesday. I’m grateful I can refill my prescriptions at home online and that I put in the request with adequate time before I’ll run out. 4:35 pm – I had to re-address and re-send a holiday card. I’m grateful to still have a valid address for this friend and have her in my life. 4:45 pm – Someone has not taken their clothes out of the dryers that are easier access. I’m grateful that I have clean facilities so close to me. You get the gist!! Boy, when I write out my complaints like that they seem so silly. But it’s true that these were my thoughts today. It’s important that I identify that this is what I think and figure out how to switch my thinking so that I don’t complain about the little things. Because the big things are going pretty well for me indeed. If you know me, or if you’ve followed my blog before, you know that there’s one thing I’m crazy about, and that’s gratitude (see How to Give Thanks Every Day). So when I read today’s exercise I was stoked! Write five things you’re grateful for today. Actually at first I thought – this is going to be a breeze. I could list 26 things I’m grateful for right now. But, when I sat down to write them out, and thought big picture – it was more difficult than I thought. More difficult, at least, to articulate what exactly I’m grateful for and why. Here are my five items. Security: I have food, water, shelter, clothes, and a job that provides the money I need to sustain these things. There are so many people who aren’t blessed to be born into the situation I have been. This has given me the foundation I needed to understand what I want in life and the motivation to go for it. People: My family and friends. They support me in so many ways (emotionally, financially, mentally) and they even challenge me when I need it. I have a great network of people whom I know I can turn to whenever I need, and I love that! They really are my sustenance. Boyfriend: Notice I didn’t put my boyfriend in People? That’s because he deserves his own line. I can’t begin to describe how grateful I am of him. He supports me through everything (he moved 500 miles with me because I wanted to, he was next to me when I got an important diagnosis and learned how to administer treatment with me, the list goes on and on). He encourages me while I explore my interests and work on personal development – in the eight days I’ve worked on the 31 Day Reset, he has done the dishes twice. And that’s a big deal because he does all the cooking so I’m supposed to do all the cleaning! Job: Although it can be stressful at times, I do have a pretty great set up at work. I have very supportive supervisors who are mindful of my professional development and personal sanity. They encourage me to work hard and tell me I’m doing a great job. I have great colleagues in general, and the pay is very reasonable. It’s a supportive environment for me while I go to school, and I am so grateful for that. USF MNA Program: Speaking of school, I’m grateful for the program I’m participating in, the Master of Nonprofit Administration program at University of San Francisco. The program is great because it’s giving me the tools to be the master of my future. Without the background of knowledge and best practices I’m getting from the program, I don’t believe I would be able to go in any direction as easily. That’s it in a nutshell! It’s very interesting to see the trend of support… I appreciate when others are supportive of me. I feel all warm and fuzzy now… this is a wonderful exercise to be able to look back on to when times aren’t feeling so great! Thanksgiving is so wonderful, because so many people are focusing on one of my favorite things in the world: gratitude. And while I enjoy all the Facebook posts, tweets, and texts of gratitude – the question is, why can’t we do that every day? In every aspect of our lives? Here are a few ways you can be grateful every day. Say thank you. I know it sounds obvious, but you would be surprised how few people actually do it! So often people think, well obviously I’m grateful, so why do I need to actually say those two words? My personal mantra is that you can’t say thank you enough. Any time anyone does something nice – thank them! And it doesn’t have to be for you – if you notice someone doing something nice for someone else, feel free to thank them also! You’ll be surprised how much it makes their day. Think big picture. It’s obviously incredibly overwhelming to think of all the inequalities in the world, so think big picture but in a small way. Think about your neighbor who got laid off and can’t find a new job. Think of the homeless man you pass every day on your way to work. Now think about your situation. Not so bad, is it? If you have a roof over your head, a refrigerator with food, and clothes in your closet, you’re part of a very lucky few. Remember that in everything you do. Consider what you have and why it matters. Think of the things you value in your life, and whether you could work toward them in the same capacity if you weren’t so fortunate. One of my most important values is leaving a legacy. Yes, a legacy can be left even at the ground level, but I am fortunate to have been given the opportunities I needed to now be in a position where I can create change, and leave a legacy, on a bigger scale. I am grateful for the resources I have been given, not just because I can survive, but because they are helping me live out my most important values. I love Thanksgiving because it encourages people to evaluate the things in their life for which they are grateful. But why can’t we do that every day? I’m here to say we can, and I hope the above three suggestions help you remember what you’re thankful for.